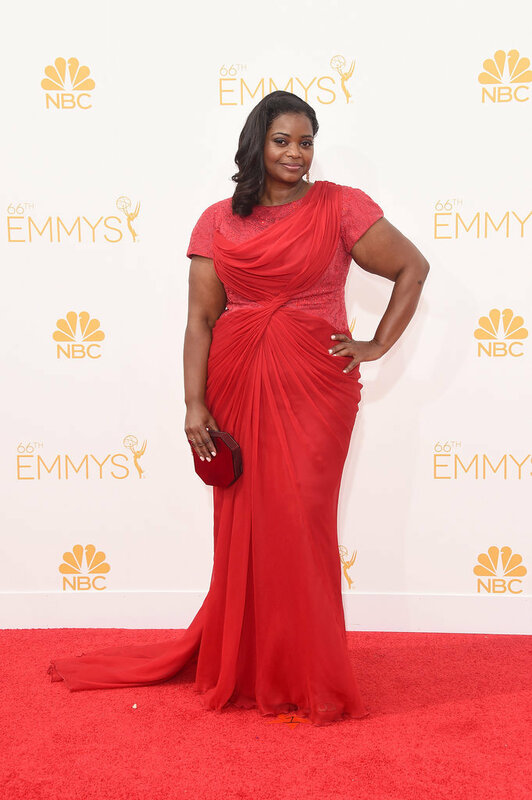 The stars were red hot at last night’s Emmy awards – literally. Red was the color of the night, although not too many of them stuck out for me, unfortunately. I feel like a lot of celebs played it safe last night which was kind of a downer. But I still managed to find a few dresses I liked. 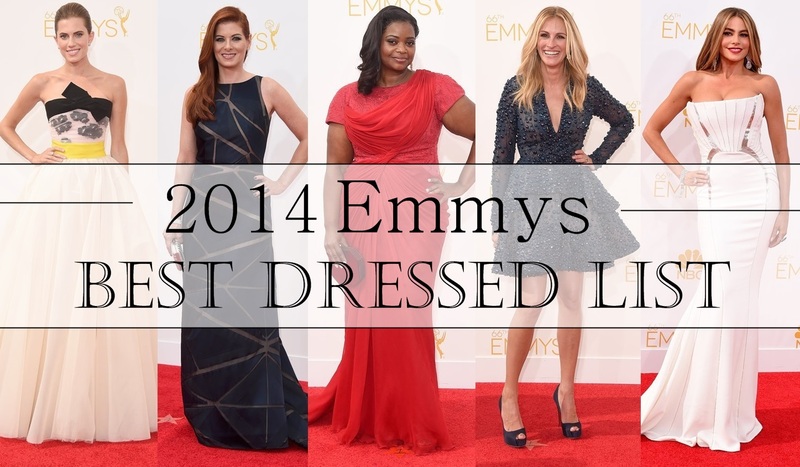 Check out my best-dressed stars and tell me if you agree. The risk taker of the night goes to Julia Roberts in Elie Saab. It’s rare to see a cocktail length dress on the red carpet and have it work, but this SO did. And can we talk about those legs?! I mean, this woman just gets better with age, doesn’t she? Perfection. This was my favorite ball gown of the night. It’s elegant, but it doesn’t take itself too seriously. It’s fun, modern, & whimsical. And the black bow and yellow sash add the perfect amount of color. Love! Octavia is a walking billboard for Tasdashi Shoji. She wears him every award show. And let’s be honest, I would too. He knows how to dress a curvy woman. His designs are always figure-flattering and draped to perfection. Watching Debra Messing walk down the red carpet just perked me up. Not only is her geometric dress interesting and far different from anything else I saw last night, but the navy color is gorgeous against her skin tone and hair color. One of my faves. Yes, she’s a little one note. But if it ain’t broke don’t fix it! The structured Cavalli gown hits Sofia’s curves in all the right places. She’s a total knockout. Who was your favorite of the night? I am obsessed with Elie Saab so it comes as no surprise to see Julia Roberts - whom I really don't think of as being anything special - look like a million bucks in that dress. It's just breathtaking! I loved how refreshing it was to see a short dress on the red carpet. She looked amazing! How could you not love them all? I especially love Debra Messing's! Me too! I'm surprised no one else mentioned it. She looked fab! Julia's dress is so unique and fun - it's definitely the one I would want to wear! Definitely! I think it would look good on a lot of people. Thanks for stopping by.